SiteZeus, a Tampa, Fla.-based developer of location intelligence technology for emerging and established brands, brokers and developers, secured $1.5m in funding. The round was led by Chuck Cooper, whom formerly led Paylocity as CIO to its IPO debut in 2014, with participation from original investors. Mr. Cooper has also decided to join the SiteZeus team to serve as EVP of Product Development. 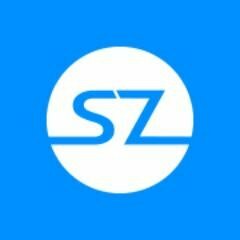 The company, which has raised $4.15m to date, will use the new funds to expand growth and the SiteZeus platform. Led by Keenan Baldwin, SiteZeus develops a location intelligence platform driven by engineered big data systems and data visualization technology for retail and real estate brands, brokers and developers to aggregate and consume large datasets into actionable insights in real-time and grow their existing business with a calculated approach. In the coming months, the company will also announce new initiatives and products, including Simply and Savvy, the Synergy Grid and the Olympus Data Exchange.